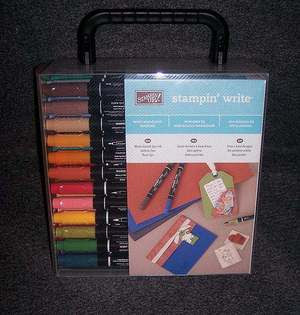 Does your “Wish List” include the 48 Stampin’ Write Markers with the storage case? The marker club will consist of four members and run for a total of four months. - One colour family (12) Stampin’ Up! Markers. So at the end of the four months you will have: complete set of 48 Stampin' Write Many Marvelous Markers with special storage case. - Cheques will be deposited with the bank and orders placed on 1st of each month.